Boeing values the order at nearly $4 billion at current list prices. The manufacturer and Korean Air originally announced the planned order during the Paris Air Show in June. With this order for up to 52 Boeing aircraft, Korean Air becomes a new Boeing 737 MAX customer. Korean Air now has firm orders for 62 Boeing jets outstanding, according to Boeing. This figure implies Korean Air might quietly have canceled an order for 10 Boeing 787s, a commitment it converted in 2011 from 787-8s to 787-9s. Seoul-based Korean Air currently operates 91 Boeing passenger aircraft of various 737, 747 and 777 versions. Its subsidiary Korean Air Cargo operates an all-Boeing cargo fleet of 28 747-400, 747-8 and 777 freighters and it has outstanding orders for five more 777Fs and four more 747-8Fs. 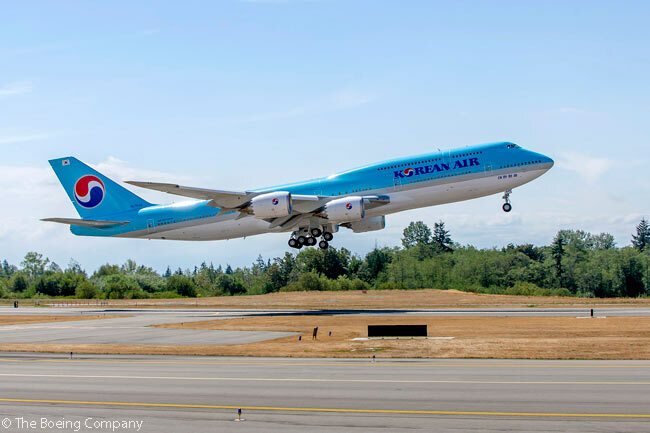 Korean Air’s Aerospace Division is a Boeing partner on both the 747-8 and 787 programs, supplying the raked wing-tips for each model. It is also one of two suppliers producing the new 737 MAX Advanced Technology Winglet. 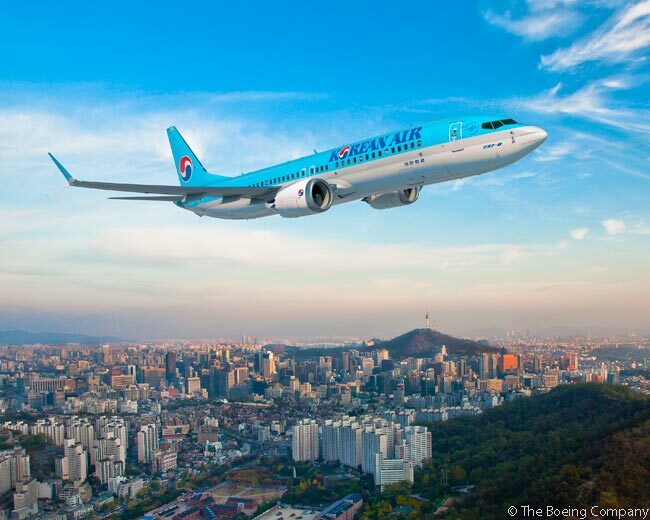 Finalization of the Korean Air deal increases the 737 MAX firm orderbook to 2,929 aircraft, ordered by 60 customers. Now operating a fleet of 166 aircraft, Korean Air is one of the world’s top 20 airlines. It operates more than 430 flights a day to 128 cities in 45 countries. Korean Air is a founding member of the SkyTeam alliance. The 20 members of the SkyTeam Alliance carry 612 million passengers annually on a worldwide system of more than 16,000 daily flights covering 1,052 destinations in 177 countries.